Who will have the better season, Jose Ramirez or Francisco Lindor? Gerbs: Given the health scare both seem to be (mostly) dodging, I’m going to say Lindor. 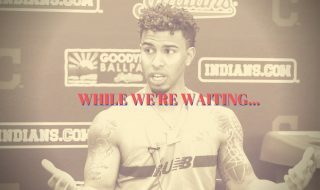 JRam might lose some more time in-season due to the left knee contusion, which would obviously hinder his ability to accumulate the sheer numbers that it would take to overcome Lindor. Mitch: There’s no wrong answer here, so for the sake of variety, I’ll go with Ramirez. For the first four months of 2018, Jose Ramirez was the whole package: he got on base, he hit for power, he walked far more often than he struck out. Even during his well-documented two-month slump to end the season, Ramirez’s keen eye remained intact; for whatever reason, he simply just stopped squaring the ball up. Count on a long, restful offseason rejuvenating Jose Ramirez for a stellar 2019, bruised leg and all. Jay: Lindor, because we have to enjoy him. Scott: Lindor. Jose is the GOAT and all, and should have a stellar season. If I had to pick one to be better, it’s Frankie. Corey: Lindor. I adore Jose, but he has been visibly pressing the past two postseasons. I worry that with so many question marks he will be trying even harder at the plate which could lead to similar results…before an eventual correction. Poloha: The fact that this is a tough choice is such a good thing. I’m not going to choose a side here, but let’s just say that I hope they finish first and second in AL MVP voting. I don’t care which one takes home the award. Gilbert: I think they both will be All-Stars and both will be in the MVP conversation, but I will give the slight edge to Jose Ramirez. Ramirez will start from opening day, while Francisco Lindor will be starting on the IL. I think Ramirez will be motivated to put 2018 second half behind him. Frank: As much as I love JRAM I think it has to be Frankie. I just think he is the better player and his ceiling keeps getting higher. Which of the starting pitchers will have the most Cy Young votes at season’s end? Chuck: Trevor Bauer. He was right there in 2018 before an injury ended his run. Gerbs: As much as I’d love a third Cy for Kluber, further entrenching him into Indians lore and Cooperstown, I think this could be the year that Carlos “Cookie” Carrasco overtakes both Kluber and Bauer as the ace of this team. With his new extension, more feelings of Cleveland being his home…I can definitely see the changeup becoming the “it” pitch it should be and Carrasco being the Cy. Mitch: I’ll have to agree with my colleague Chuck on this one. Trevor Bauer seemed poised to compete for the Cy Young Award in 2018 until his regular season was amputated by what was called a stress fracture in his leg. Bauer’s successful and seamless introduction of a slider in 2018 bodes well for his ability to mix the new change-up into the 2019 repertoire, and another plus pitch can only help his chances. Plus, voters love to vote for new guys, as we saw last year with Blake Snell—even if Kluber is as effective as Bauer, expect the latter to get the love from the BBWAA…unless his mouth gets him in trouble. Jay: The Cy Young campaign cut short to injury, the tweets, the blossoming video company… it just feels like it’s Bauer’s year. At the All-Star break last season, he was the MLB leader in both fWAR and HR/9. He truly looked like the heavyweight starter that we had all hoped for, and he was bringing knockout punches every damn night. His age-28 season has a chance to be his best one yet. Scott: If Trevor Bauer can stay healthy—with the reminder that the injury that derailed him last season was a fluke, come-backer to the mound—he’s going to get the nod. If he’s not the first AL pitcher to 20 wins, it won’t be because of his doing as much as it will be the team’s offense or bullpen. Corey: Bauer’s numbers took a serious jump last year and if he can lay off the social media a smidge I expect him to haul in some hardware. Poloha: Trevor Bauer. Just look at what the majority of the other writers said about him rather than me having to repeat them. Gilbert: I think Trevor Bauer will be the AL Cy Young. 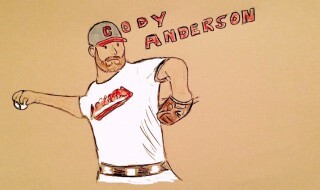 I think he will have an excellent season and be the true ace for the Indians. Bauer is seemingly always getting better each season and I think that will continue this coming season. Frank: I want to be different from almost everybody above but I just can’t. It’s Bauer. Who is your favorite player to watch on this Tribe baseball team? Chuck: Lindor. It’s hard not to like someone having that much fun playing the game. Gerbs: Give me JRam. As much as my wife and I love Lindor, there are few players that can completely take over a game like Jose. The little bowling ball body, the swagger, the seemingly no-nonsense approach to pretty much everyone yet still remaining jovial…he’s just the best. Mitch: As a pitching guy I’m certainly biased, but the guy I’m most looking forward to watching in 2019 is Mike Clevinger. Clev took his contact management to a new level in 2018, throwing 200 innings in the process. It’s a pleasure to watch his herky-jerky motion keep batters off balance and barrels away from balls, all the while living up to his Players’ Weekend moniker of “Sunshine.” If he can improve on his already career-low BB% from 2018, we could be looking at yet another Cy Young candidate, in this case of the “dark horse” variety. Jay: Watching (and listening) to Carlos Santana connect on a home run might be one of the prettiest sights in baseball. Scott: Position player? Has to be Frankie Lindor. Pitcher? Give me Trevor Bauer all day. Corey: When Carlos Santana left the Indians for Philly he didn’t sell his house in Cleveland because he knew he would be back. As someone who also recently moved back to Ohio I can relate. Poloha: Much like the first one, this is also tough to answer. Frankie and JRam are up there, but I mean, who doesn’t love them a little Santana and that dominant starting pitching staff? Oh, and I’ll make sure that watching Leonys Martin play baseball is fun. He’s been through quite a bit recently, to say the least. Gilbert: I love Jose Ramirez. He plays so hard and just a great all-around player. But, his personality makes him even more enjoyable. He is dripping in confidence and he just shows it in everything he does. Frank: Gosh. JRAM is not my favorite player to watch on the Tribe this season. He might be my favorite Indian to watch ever. So much swagger, so much will, so much heart. I never thought anyone would threaten my childhood worship of Kenny Lofton but here we are. Dave: I have to pick Nick Chubb. He is an old-school, smash-mouth, bruising back. Look for him to shine as teams struggle to handle our other offensive weapons. Who is your breakout player this season? Chuck: Shane Bieber. He has four solid pitches and elite control of the strike zone. If the 2018 K-rate was real, we have our next ace in waiting. Gerbs: I’m hoping for big things from Jake Bauers. He has struggled a bit in spring, but with his batting eye and ability to take a walk, it shouldn’t be hard for him to adjust to the league and remain productive while working out kinks. It also helps that I need him to produce for three of my four fantasy baseball teams. Mitch: It’s Greg Allen’s year, baby. Allen exhibited quality plate discipline numbers all through the minors, and he hasn’t been given the opportunity to prove those skills are legitimate at the Big League level. With Michael Brantley in Houston, and the remaining Cleveland outfielders all having undesirable platoon splits, a Greg Allen breakout would not only augur positive things for the outfield defense but also could save a roster spot for an extra arm out of the bullpen. Jay: It’s Jake Bauers. There’s a significant chance that I’m talking myself into this one out of desperation and post-Yandy sadness, but I truly think the 23-year-old can emerge as a key part to the top half of the lineup by the summer. Hopefully, more exposure to major league pitching can solve his K-rate issues. Scott: Going to go with Chuck here and say Shane Bieber. I hope it’s Bauers in some attempt to justify that disaster of an offseason, but I think Shane makes the jump. Corey: Greg Allen. In an outfield riddled with “maybe this veteran has some juice left in the tank?” options, there will be plenty of opportunities for a younger player to earn playing time and make a splash. Poloha: Justin’s cousin, Shane. Bieber could (and should) be very good and the fact that he will be the team’s fifth starter and essentially have little pressure on him will make him even better. Go out there and flourish, dude. Gilbert: I think Shane Bieber will have a breakout season. He will make this rotation far and away the best rotation in the league with five guys who could be top two or three starters on most teams in the league. We know Brad Hand will be great as the closer, but who is going to be the second best reliever in the pen? Chuck: For Jon Edwards to emerge as my dark horse he must suppress walks. The K’s will be there. Gerbs: Ollie Perez. Perez had a fantastic season against both sides of the plate in 2018, and there’s little reason to see that not being the same in 2019. He actually pitched BETTER against right-handed batters in 2018, holding the 55 batters to a .322 OPS on the season. With a bullpen full of few sure things, Perez seems to be the best bet on becoming one. 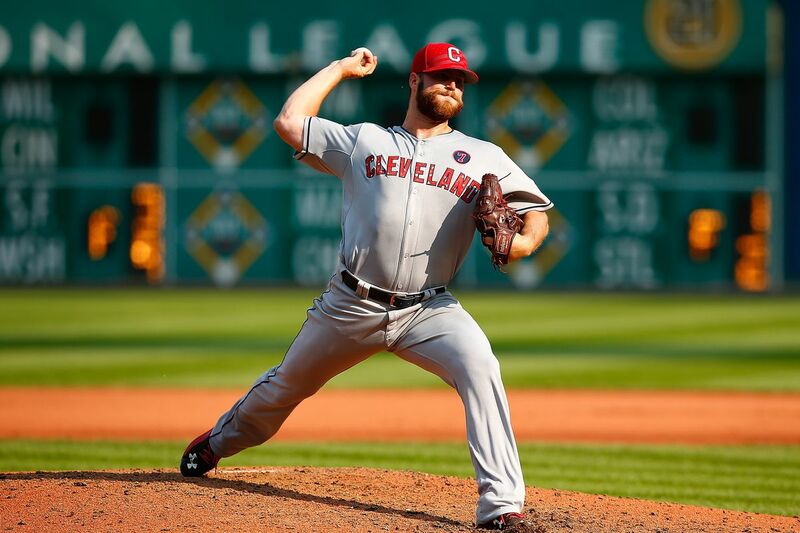 Mitch: I have a feeling that the most effective non-Hand relief pitcher may not yet be on the Major League roster. Between Nick Sandlin, Henry Martinez, and Jefry Rodriguez, I expect at least one of them to have success at the Major League level in 2019. Of guys currently on the active roster, it’s possible I’m unrealistically bullish on Adam Cimber; he was truly terrible as a member of the Cleveland Indians last year. Still, there’s a reason to believe that Cimber’s flop last year was fueled by bad luck—in his 20 IP with the Indians, he actually gave up less hard contact and induced far more grounders than he had with San Diego earlier in the season. His problem? He almost never missed bats with the Indians. Despite inducing over a 40% swing rate on pitches out of the zone, Cimber only struck out seven batters with Cleveland. He may not get back up to the 9+ K/9 that he had earlier in the season, but almost by default, he has to miss more bats in 2019. Jay: Tyler Olson is mighty tough guy to predict, but I’ll take a stab and say the 29-year-old emerges as a nice compliment to Hand. His infamous 0.00 ERA in 2017 (2o IP) was followed up by an ugly showing in the first half of 2018, causing him to make 17 AAA appearances in July and August. He got another chance with the big league club in August and September and took full advantage (0 ER,16 K in 9.1 IP). Scott: I’m going to go with Adam Cimber only because I don’t fully trust any of the other arms that will be in there. Corey: I had to think about this question for a full minute before I remembered another reliever’s name besides Hand. So by default, it’s Simber. Cimbur? Cimber? Whatever, the sidewinder. Poloha: The fact that everyone above me has different answers here isn’t a good thing, right? Well, here we are. I’ll go with Cimber just because I like his last name but I have a feeling it’ll Perez. Then again, if we were to look back at this question at the end of the season, the answer will likely be whoever the Indians acquire prior to the trade deadline. Gilbert: I think Oliver Perez will be the second best reliever in the Indians bullpen. I am not totally confident in this bullpen, but I think the veteran Perez will be a consistent pitcher for the Indians this season. Frank: Do we know the names of other people in the bullpen? Dave: I envision Myles Garrett closing out a lot of games. On the roster currently, who has the biggest bust potential (obviously we do NOT wish this to happen)? Chuck: Jose Ramirez. While I believe he will still put up solid numbers, the bar is set pretty high. September gave me a little pause. Gerbs: Shane Bieber has been lights out since bursting onto the scene, but I am a bit worried about his hitability. A .356 BABIP against in 2018 is a little high, but being such an elite strike thrower, Bieber has the potential of getting knocked around. Is he going to be able to get the K’s needed to get himself out of situations if the ball starts flying around? Mitch: I’ll go with Carlos Santana. He’s never been a guy to run BABIPs, but a 17.9% infield ball percentage fueled a career-low .231 BABIP in 2018. Santana remains one of the most disciplined hitters in baseball, but at 33 years old, I worry some of the bat-to-ball skill has eroded, and as a first baseman, nearly all of his value is derived from his production at the plate. Carlos Santana’s Statcast-derived xwOBA on contact in 2018 (i.e. what Statcast expected his wOBA on contact to be based on launch angle and exit velocity) was the lowest it’s been since Statcast’s release in 2015. His ability to get on-base should keep his floor relatively high, but there is some real reason for concern that Santana is not the guy who left Cleveland just two years ago. Jay: The whole entire catcher position, which I wrote about last week. I would rather watch grass grow than watch a full season of Roberto Perez at the plate, and there’s a good chance Plawecki isn’t much of an upgrade. However, Eric Haase has me intrigued. Scott: Is “bust” a function of expectations? Is it a function of salary? If it’s expectations, whose expectations? The team clearly thinks they have all the tools necessary, where I see a team with zero middle class—it’s MVP and Cy Young types, and a bunch of lottery tickets. I’ll go with the weakest link of the everyday guys and say Roberto Perez. Corey: Jason Kipnis has battled injuries, inconsistent positions, and diminishing play for the past several years. Ideally, he excels in his walk year with an eye on a big contract, but the possibility of a full faceplant cannot be ignored. Missing Opening Day certainly sets an ominous tone. Poloha: I have some bad luck lately, so I’m not answering this simply because I don’t want to jinx it. Gilbert: I think Jake Bauers has the biggest bust potential just because of the amount importance the team is putting on him. With all the changes this offseason, Bauers is being held up as a player to rely on in the Indians lineup. I just don’t know if we should do this with this young of a player. I think he will be solid, but there is a lot of pressure on him in my opinion. Frank: For me its Kluber. I saw the downturn last season and I am crossing my fingers that he doesn’t fall off a cliff. Dave: The big bust question has to be Kareem Hunt. Can he get his life together? Given that the club has said they will have funds available for incoming payroll at the trade deadline, who is your midseason target? Chuck: My dream acquisition would be Whit Merrifield. That probably will not happen. I think David Peralta would look pretty good camped in left field. Gerbs: I expect Nick Castellanos to be a member of the Tribe come August. It will take a bigger price than most others, due to being in the division, but his bat in the middle of this lineup, at DH or in left field, will be the biggest boost possible. Mitch: This is going to earn me some flack, but I think it’d be fun to see Yasiel Puig as a member of the Tribe come August. I’ve heard a lot of chatter concerning a lack of energy around this team in 2018, and say what you will about Puig, but he does not lack energy. Should Cincinnati find themselves out of the race due to a strong division, Yasiel Puig’s righty stick could be a huge upgrade over Jordan Luplow, especially given that Puig is the kind of streaky that could take over an October series. Jay: Corey Dickerson just makes too much sense for the Indians. Here are the outfielder’s fWAR marks for his last four full seasons of play (he only played 65 games in 2015): 2.8 in 2014, 1.1 in 2016, 2.6 in 2017 and 2.8 in 2018. The 29-year-old is primed to hit the free agent market after this season, so there is a good shot that he becomes available if the Pirates fall out of contention in time. It wouldn’t be a superstar splash, but it’s an extremely realistic one for the Indians. The corner outfield spots will almost certainly be addressed by late July, and Dickerson could be a nice fill-in. Scott: I still haven’t forgiven them for not acquiring Christian Yelich. Corey: Andrew McCutchen because he was the first center field I thought of. Poloha: A new owner? Alright, I’ll see myself out. But seriously, I haven’t really looked into anything so it’s probably best that I just let the other writers answer this one. Gilbert: They will need to add an All-Star level outfielder. Maybe a guy like Nicholas Castellanos could become available at the trade deadline. 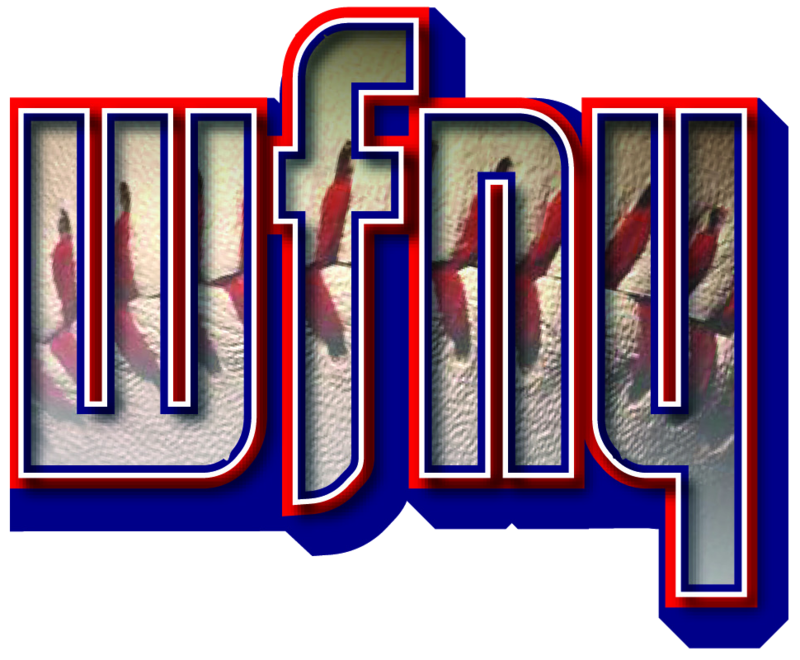 Last question, what is your season end prediction: World Series win, a playoff loss, or not even in the postseason…plus your expected record for the Tribe? Chuck: I think the Tribe beats Houston in the ALDS but falls to the Yankees in ALCS game 6. Gerbs: I’m with Chuck: I think an ALDS win but eventually a loss in the ALCS is the way we are going. As much as I’d love to see a World Series winner this year, with Baker Mayfield and OBJ throwing out first pitches, I just can’t see how this team with the roster constraints and injury luck already turning makes it to the Fall Classic. As for the final record, give me 92-70, going 50-26 in the division. 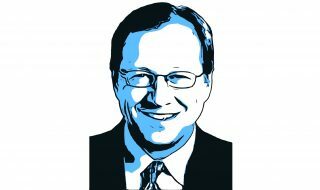 Mitch: This team could be good enough to win a World Series, but only one team wins, so just from a probabilistic standpoint, it probably won’t be the Cleveland Indians. 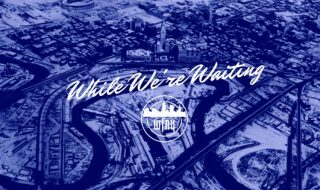 Barring a catastrophe, this team should waltz into the playoffs as it did in 2018, and hopefully, its performance there will regress back to the mean, i.e. not getting destroyed there. Still, unless the bullpen improves significantly, I worry it will surrender too many runs in some October series. I’ll say the Indians win 95 games but lose to the Red Sox in the ALDS. Jay: 92 wins and a heart-wrenching ALDS exit. Sorry. Scott: Based on the current construction, 87-90 wins and an ALDS loss, assuming they make it past the Wild Card game. You can’t trot out a 5-through-9 like this and expect to compete with the best in the baseball. Sorry, kids. Poloha: 91 wins and losing in the ALCS. Sorry, y’all. Gilbert: I think the Indians will win 88 games and win the AL Central in easy fashion. Beyond that I think the Indians could surprise a lot and go all the way to the World Series. This Indians rotation will carry the team and if the Indians can add a couple of big pieces at the trade deadline, the Indians could win it all. I think it all comes down to what they do at the deadline. Frank: They will win the World Series. There is no other way for me to start a season. All or nothing. If you don’t wear red and blue you don’t matter, right Freddie? Dave: Deep in the playoffs.